Will Logan and Sabertooth Duke it out One More Time on the Big Screen? With Hugh Jackman set to hang it up as Canadian mutant Wolverine after the next solo flick, he took to Twitter and asked fans what they want to see in the movie. A good majority said they want to see Logan and arch nemesis Victor Creed, a.k.a. Sabretooth, go at it one last time. Jackman tweeted a challenge to the last man to play Sabretooth, Liev Schrieber, in the middle of August asking for a fight. Schrieber responded with a very vague “do I have to do that…” which wasn’t a yes or a no. Recently on Jimmy Fallon, Schrieber was asked again about playing the mutant in the final Wolverine film. The actor danced around the topic so much you’d think he was wearing tap AND ballet shoes. The last guy to play the dance-and-deny game was Paul Rudd when he was asked about portraying Ant-Man. Rudd denied and denied and we all saw how that ended up. The third film, which is set to be directed by James Mangold, is rumored to be based loosely on the Mark Millar / Steve McNiven storyline Old Man Logan, which sees an aged Wolverine in a dystopian future where the supervillains won. Here, Logan has to do a dangerous job to earn money for his family in order for them to survive. What do you think? 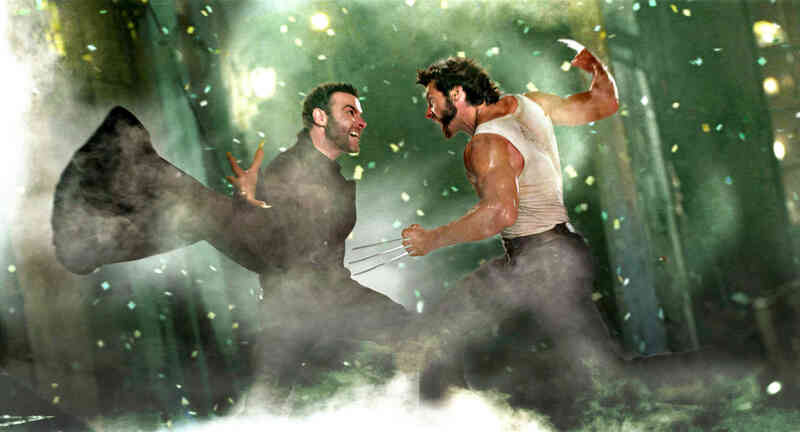 X-Men Origins: Wolverine was absolutely abysmal, but would you like to see Liev Schrieber as Sabertooth one more time? This entry was posted in Breaking News, Film and tagged Hugh Jackman, James Mangold, Liev Schrieber, Wolverine 3, X-Men Origins: Wolverine. Bookmark the permalink. Spielberg’s Dreamworks to Leave Disney for Universal? ‘Jaws’ and ‘Back to the Future’ Eyed for Sequels/Reboots?